This looks like it's going to be a compelling watch. The first trailer has been released for a documentary entitled Take The Ball, Pass The Ball, spotlighting Pep Guardiola’s years as head coach of Barcelona, during which they won 14 trophies in four years and turned the soccer world on its head. A number of Guardiola’s former players were interviewed for the doc and are featured in the trailer, including Thierry Henry, Lionel Messi, Gerard Pique, Carles Puyol, and Xavi, among many others. The film is based on the book Barca: The Making of the Greatest Team in the World by Graham Hunter, who is also attached to the project as a writer. Duncan McMath, a director and producer for Zoom Sport International, makes his directorial film debut in this documentary. 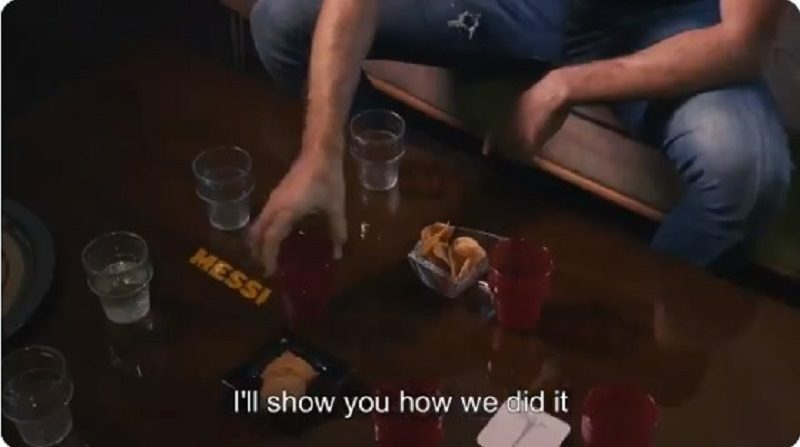 It seems like the project has been in the works for awhile – here’s a tweet with a couple of pictures of Messi being interviewed (in the same shirt he’s wearing in the trailer) from May of 2017. But one face was absent in the trailer – Pep Guardiola himself. Zoom Sport was cheeky on Twitter when asked about whether or not Guardiola would be featured at all. Judging from the trailer, it looks like this film will be more tactics-based than Amazon’s All or Nothing series that focused on Guardiola’s Manchester City, which would be a welcome change of pace from the personality-based All or Nothing (which was still excellent). As someone that’s been a fan of Guardiola and his style of play for ages, I’m looking forward to this. Take the Ball, Pass the Ball will be released in theaters in England and Spain on November 9th, and will be available on both DVD and digital download on November 12th, per The Guardian.